Shopping for Star Trek Pop! Vinyl Figures? Resistance is futile. Assimilate him into your collection right now! 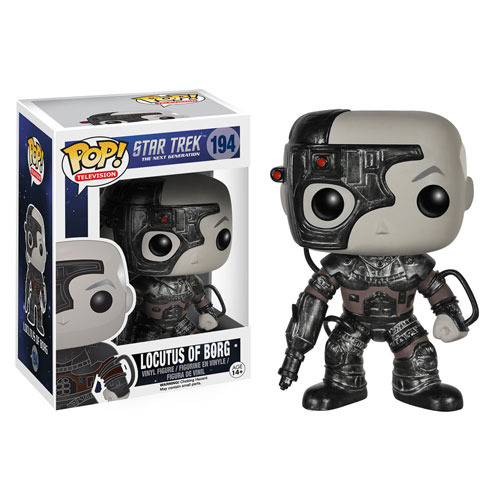 Always creepy, Locutus is now a Pop! Vinyl! Standing about 3 3/4-inches tall, the Star Trek: The Next Generation Locutus of Borg Pop! Vinyl Figure features actor Patrick Stewart's Borg-assimilated Captain Jean-Luc Picard in detailed Borg gear as he appeared in the Star Trek: The Next Generation TV series. Collect all the TNG Pop! Vinyl figures! Each figure sold separately. Ages 14 and up.